How to make an offer ? Add the item to your cart. Offers are managed from your carts page. You have many easy options once an item is in your cart. See details here. 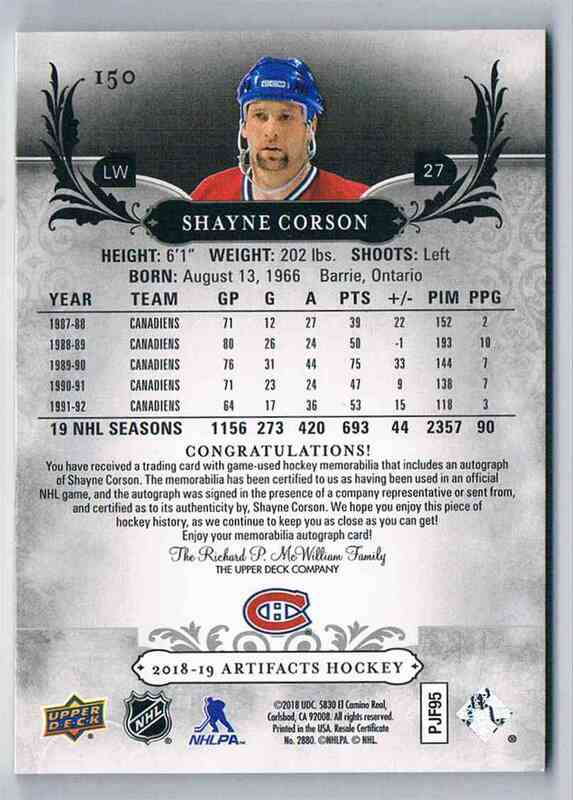 This is a autographed Hockey trading card of Shayne Corson, Montreal Canadiens. 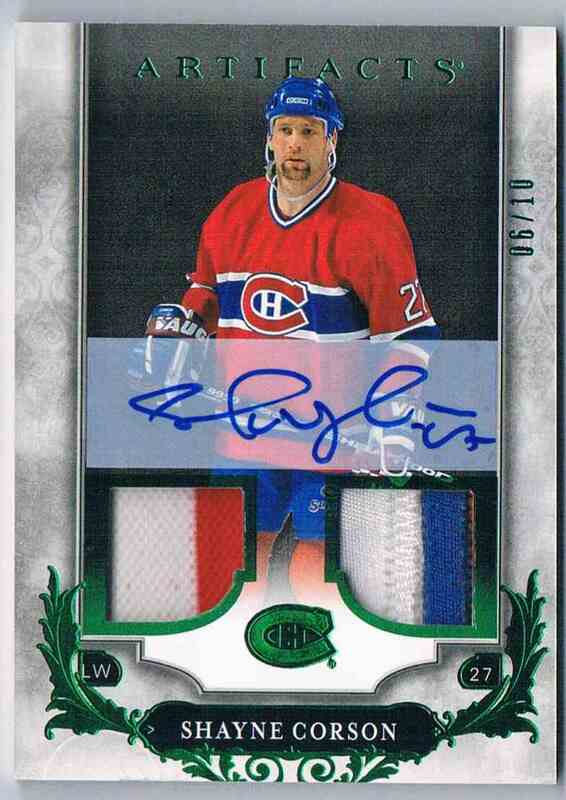 It comes from the 2018-19 Artifacts Material Emerald set, card number 150, embedded Dual Patch 3 Clrs, serial numbered 06/10. It is for sale at a price of $ 150.00.  Make it my star of the day! Real front image. Scroll down for back image. Approximate size based on scanned front picture: 3½" x 2½"
I accept in store payments. For online sales I only accept Paypal. Thanks. Je vais aussi accepter les paiements directement en magasin. Pour les transactions internet je n'accepte que Paypal. Merci. TAXES FOR CANADA AND QUEBEC RESIDENTS: Canadian residents should add the G.S.T or H.S.T. (806954020 RT0001) to the cost of the item. Quebec residents add the G.S.T & Q.S.T. (1215286521 TQ0001) to the cost of the item. The only platform in the world that helps collectors pursuing their passion by providing them with a complete solution! You must be logged to use this feature.